Uber Technologies said it underpaid its New York City drivers by improperly calculating the company’s share of passenger fares, and will pay out an average of $900 per driver in restitution, costing tens of millions of dollars. The back pay could run at least $45 million, based on the approximately 50,000 drivers the Independent Drivers Guild says work in New York City. The ride-hailing company has previously misled drivers about how much they could make and miscalculated fares. In this case, Uber was taking its cut of fares based on the pretax sum, instead of after taxes and fees as stated in its terms of service. The issue was also raised in a lawsuit against San Francisco-based Uber filed by the New York Taxi Workers Alliance. In March, Uber acknowledged that it had underestimated drivers’ pay in Philadelphia by millions of dollars. “We are committed to paying every driver every penny they are owed — plus interest — as quickly as possible,” Rachel Holt, Uber’s head of US operations, said in a statement. “We are working hard to regain driver trust, and that means being transparent, sticking to our word, and making the Uber experience better from end to end.” The Wall Street Journal reported earlier on Uber refunding money to drivers. “Uber’s theft of drivers’ hard-earned wages is the latest in a long history of underhanded tactics in this industry,” said Jim Conigliaro Jr, founder of the Independent Drivers Guild. The guild called on regulators to investigate ride-hailing companies’ payment practices. Uber recently updated its terms of service for drivers. While drivers’ pay is determined according to the time and distance they travel, Uber has begun to experiment with how it calculates the price for riders. Uber spoke publicly for the first time about its route-based pricing program in an interview with Bloomberg published Friday. The pricing strategy charges passengers along particular routes based on their collective willingness to pay rather than the precise length or distance of the trip. The Taxi Workers Alliance said the payments Uber is offering didn’t go far enough. 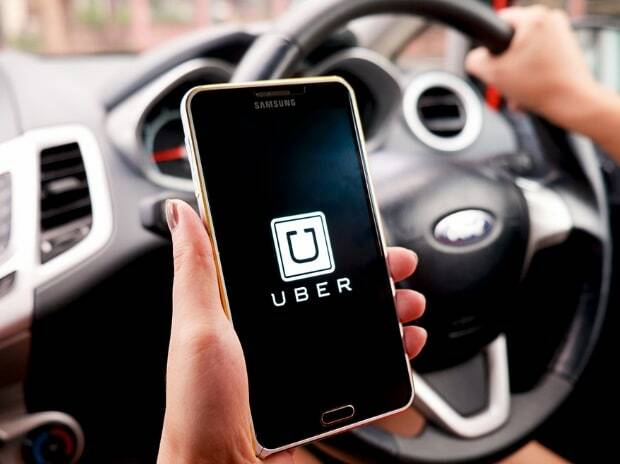 "While we welcome progress in Uber acknowledging its unlawful deductions, make no mistake: the full amount that they owe to drivers is much more than what it is now claiming," Bhairavi Desai, the Taxi Workers Alliance’s executive director, said in a statement. "Uber hasn’t just wrongly calculated its commission, it has been unlawfully taking the cost of sales tax and an injured worker surcharge right out of driver pay as opposed to charging it on top of the fare as the law requires." The startup has had a tumultuous year. Riders and drivers protested Uber Chief Executive Officer Travis Kalanick’s decision to join a board advising President Donald Trump. Kalanick stepped down from the panel after hundreds of thousands of people deleted the app in protest. Then, after Bloomberg published a video of Kalanick arguing with an Uber driver, the embattled CEO said he would seek leadership help. The company has said that it’s searching for a new chief operating officer.